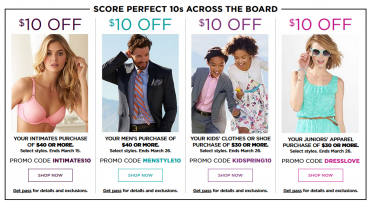 New Kohl’s Code! $10 off $30! Earn Kohl’s Cash! Stack Codes! New Kohl’s $10 off $30! Stacks with other $10 codes! Earn Kohl’s Cash too! New Easter Code! The Kohl’s Cyber 2.0 Sale! New $10 off $30 code! Stacking codes!